Wayne Moore put solar panels on the roof of his house in Roanoke to save the earth. He’s saving lots of money too. Retired audiologist Wayne Moore got solar on his 1950s ranch house in Roanoke to help save the earth. But he plays pickleball, a racket game with a funny name that’s skyrocketed in popularity among people over 50 in recent years, to save himself. And one day in June of last year, saving the earth and saving himself came together for Wayne in a dramatic way. After a few months of suffering an irregular heartbeat, Wayne’s cardiologist ordered open-heart surgery to bypass a blocked artery and perform a maze procedure to treat atrial fibrillation. So, Wayne booked a date to go into Roanoke Memorial Hospital for the operation. At the very same time, Main Street Solar was scheduled to install 24 German-made solar panels on the roof of Wayne’s home. 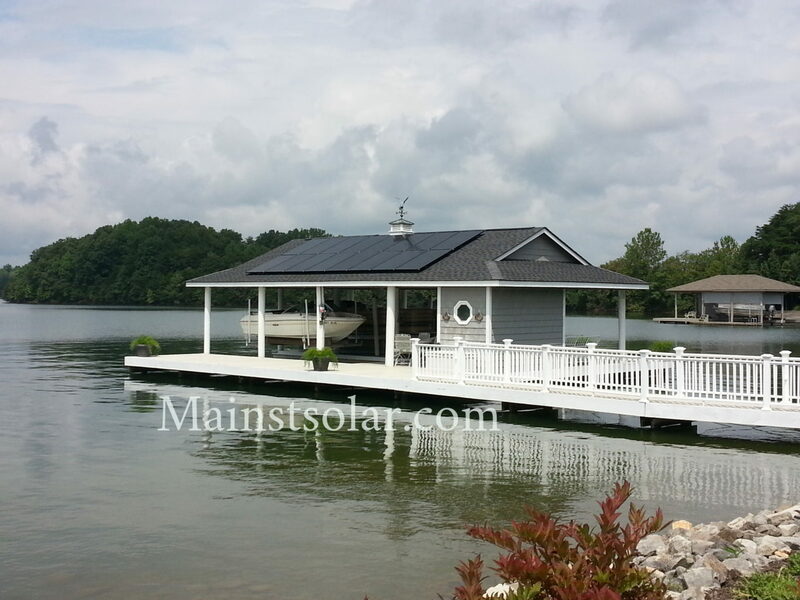 Wayne and his wife Susan were eager to get the solar up and running and they didn’t want to cancel the installation. They’ve long worried about the effect of dirty energy on the environment. Now that they were able to get solar, they wanted to do something important to be part of the solution. “We’re tree huggers in a sense. We’re interested in protecting Mother Earth,” Wayne says. But the heart surgery couldn’t wait. “Here I was facing open-heart surgery and I was already committed to the solar,” Wayne explains. 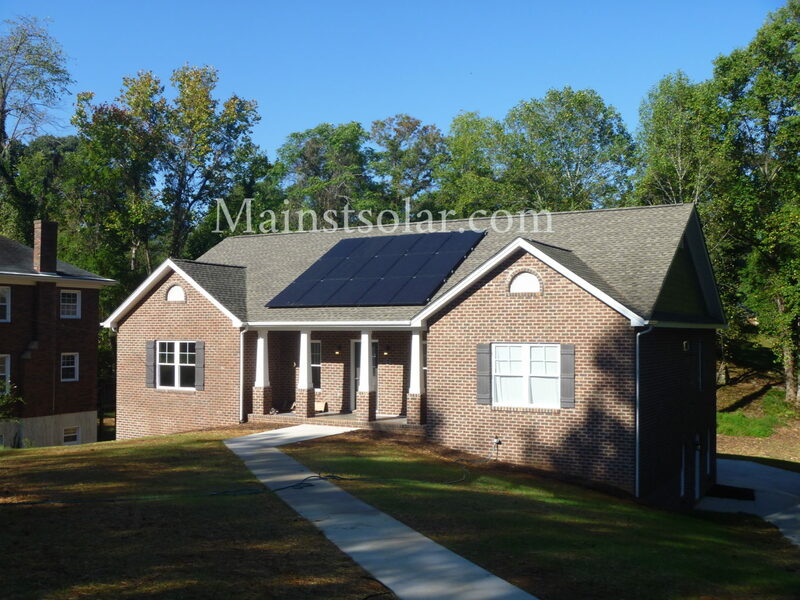 So Wayne arranged with Main Street Solar to install the solar panels while he would be in surgery and his wife would be at his side during Wayne’s recovery. Wayne Moore plans for the future with both solar power and the newly popular sport of pickleball. But Wayne’s installation literally was turn-key. “We just gave the folks from Main Street a key to the house and they took it from there,” Wayne explains. They were wonderful. We weren’t even here. They just let themselves in, put in the equipment on the inside of the house and on the roof, cleaned up, and let themselves out. And it just took a day and a half. To have somebody just take good care of you is very comforting. 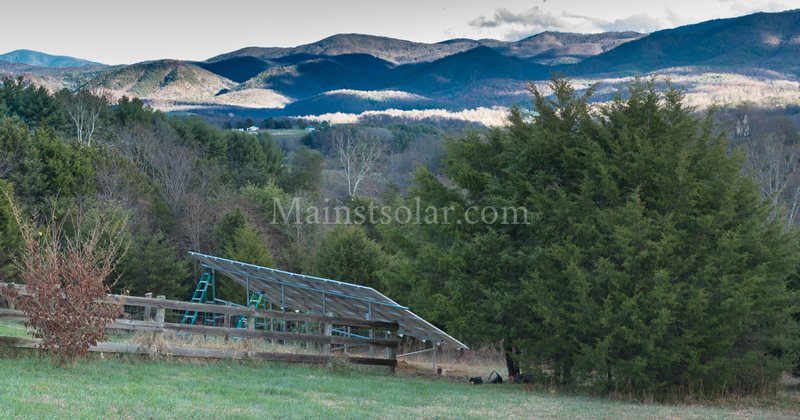 I really can’t say enough about those nice folks over at Main Street Solar. Wayne was glad to have his new solar system up hassle-free, but he was actually sorry to miss seeing it installed himself. So, prior to setting off for the hospital, even as he was thinking about going under the knife, Wayne made it a priority to ask a friend to take a video of the solar panels going up on his roof. “I was glad to have that video after I got out of the hospital. It was neat to see how everything came together,” Wayne says. This sample screen from the SolarEdge monitoring system shows environmental benefits of producing your own solar energy. 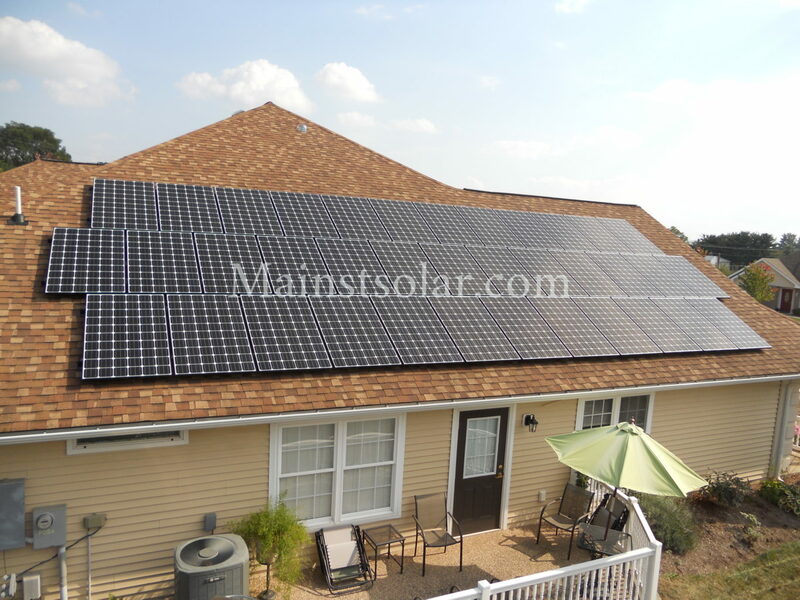 After a few months of operation, Wayne is satisfied with the performance of the solar panels. And he loves to see how much energy he’s producing every day. Once a day Wayne walks out to the smart meter that his utility, Appalachian Power, installed on the side of his house to measure the power that Wayne is selling back to the electric grid through the utility’s net metering program. And every few hours, Wayne also checks the SolarEdge app that Main Street Solar installed on Wayne’s phone for no extra charge. That’s how Wayne knows that his 6 kilowatt system is covering about 85% of his home electricity usage. More evidence that Wayne’s solar panels are producing well comes from his monthly electric bill. Before he got solar, his bill was about $110 or $120 per month. After getting solar, he pays much less. His most recent bill was only $28. Now that he’s done something big — but surprisingly affordable, Wayne says — to help the earth’s future, he’s working on his own future. Specifically, his heart health. Fully recovering from open-heart surgery can take months. It took Wayne eight weeks to join Susan back on the court for their favorite new pastime, playing the game of pickleball. It helps that their health insurance from Humana covers their membership at the Carter Athletic Center in Roanoke. As for many heart patients, doctor’s orders for Wayne include regular moderate cardio-vascular exercise. But he’s not a big fan of exercise equipment. A hybrid of tennis, badminton and ping pong that’s about 60 years old, pickleball is played on a smaller court than tennis, so players don’t have to run around as much. This makes it good exercise that’s not too strenuous for Wayne and other folks over age 50, who are the game’s main fans. Aside from the exercise, pickleball has helped Wayne and Susan to meet other couples and make new friends, since men and women play together. If you haven’t yet heard of pickleball, the video below gives a good quick introduction with a couple theories as to how this sport got its memorable name. At the rate that Wayne’s hitting the pickleball court, he expects to stay healthy and active and enjoy producing clean power from his home solar panels for years to come. And he hopes that other retired people will join him in getting solar put on their homes. The company came in with a bid that, after the 30% federal tax credit for solar, worked out to be about $14,000. To get the maximum financial return, Wayne purchased the system outright from savings without taking out a loan. Wayne advises people interested in solar to do some research online to educate themselves. 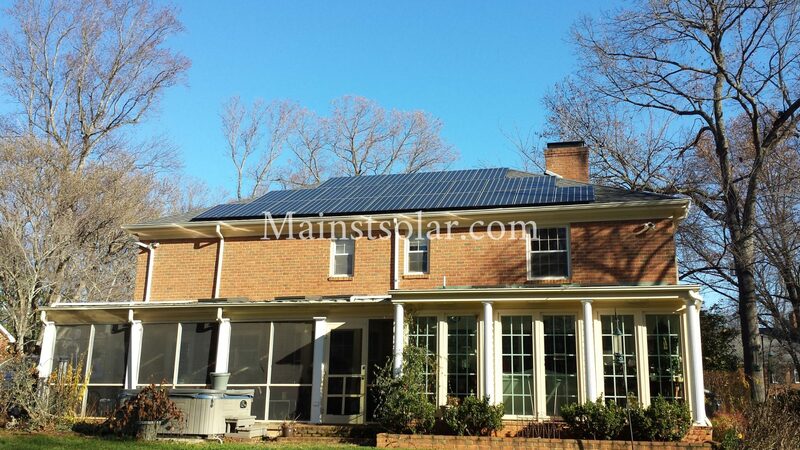 To help with that, I can certainly recommend our free e-book “Top 10 Questions and Answers on Home Solar in Virginia.” You can download your own copy now, for free. And if you have the chance to talk to people who’ve already gotten solar, that can be helpful. “We went to a community meeting at the library in Roanoke and heard from homeowners who already got solar. It was very helpful,” Wayne says.